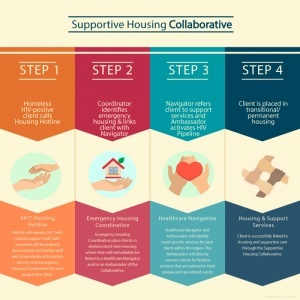 Have you heard about the Supportive Housing Collaborative? The AIDS Resource Foundation for Children has been selected by the NJ Department of Health, HIV Care & Treatment Division, to lead the Collaborative in an effort to ensure that all homeless People Living With HIV/AIDS (PLWHA) in NJ are placed in permanent housing. The success of the Collaborative will depend on partnerships with housing providers, medical centers, shelters, and social service agencies supporting PLWHA throughout the state.